Bus, Boat, Gondola, there’s lots of ways to get around Walt Disney World. Here’s our detailed guide. Disney World makes it so easy to get around for their guests that you don’t need to worry about having a car. Disney even provides free round trip transportation for those flying into Orlando International Airport. Those staying at a Disney Resort who are flying into Orlando International Airport can use Disney’s free round trip Magical Express. It is so easy and smooth. Before leaving home, place the Disney provided luggage tags on you bags. Then check them at your home airport and they will be delivered to your Disney Resort Room. You won’t have to think about them at all When you reach Orlando (As long as your plane arrives by 10pm). Non-Disney Guests, i.e. Shades of Green guests, those staying at the Disney Springs Hotels, or off property will have to get their own transportation. There are many Limo Companies in Orlando. We recommend Orlando Shuttle Service where MDT readers get $15 off with the MDT15 code. Get a $5 Lyft credit towards your first ride when you sign up for Lyft using this link. This promo is for your first ride only. SO sign up for a new account. Get a free up to $15 off an Uber ride by signing up with this promo code: steveb14703ue this promo is for your first ride only, any value not used expires. You could also rent a car at the airport. If you want to drive your car to the theme parks there is a per day fee for non-Disney Resort guests to do so. The fee is $25 per day (good all day at all parks). Walt Disney World offers complimentary transportation all around Walt Disney World for their guests on its fleet of buses. Walt Disney World operates a huge fleet of buses, the use of which is free to everyone on WDW property. The buses are all handicap accessible. Disney’s fleet of approximately 325 buses transports guests around property. The bus fleet runs on a hub and spoke system, meaning that not all locations on property have a direct bus route between each other. Wait times are typically 20 minutes between buses (sometimes more). At each Disney Resort (with some exceptions) you will find bus service to each of the four theme parks. Buses travel back and forth between the two points along the “spoke” part of the system. Magic Kingdom Monorail Resorts and Fort Wilderness Campground do not have bus service to the Magic Kingdom as they have the monorail and or watercraft service. The Deluxe Epcot Area Resorts do not have bus service to Epcot or Hollywood Studios as they have watercraft service instead. At each Disney Resort you will find bus service to Disney Springs. Generally you cannot take Disney’s buses between the resorts. You must take a bus to one of the theme parks or Disney Springs to catch a bus to another Disney Resort. While they are very limited, there are one-way exceptions, which do travel between Disney Resorts, but there are easier methods to get between the resorts in question as they are all in close proximity. The Deluxe Epcot Area Resorts are an example, while there is one way flow around the loop on three bus lines and a connection between two hotels in the opposite direction on another route, it is much easier and quicker to walk or take the watercraft service between all of them. MDT TIP: If you want to travel between resorts use Ride Hire Services such as Uber, Lyft, or Minnie Vans. A great service offered at the Disney Resorts are the electronic wait time boards and the bus wait times on the My Disney Experience app. Wait Time Boards – At all Disney Resort bus stops you will see monitors which display the next arrival time for each destination. Each theme park, Disney Springs, and the Water Parks will each have the time the next bus will arrive. These times will be updated due to traffic/bus progress to stay as accurate as possible. My Disney Experience App – The App will display the times just like the wait time boards do for the resort where you are registered. This is really handy to know if you need to get to the bus stop now or have 20 minutes to kill, whether in you room, restaurant, or gift shop. Again the app is only for your home resort, while no matter what resort you are at (for dinner or whatnot) you can see the wait time boards. There are no wait time boards at the theme parks or Disney Springs! And as noted the app doesn’t work there either. At each theme Park you will find bus routes servicing all Disney Resorts, the other three theme parks, Disney Springs, and the water parks via theme park or resort routes. At each Disney Resort you will a find bus route that runs to Disney Springs. In the morning buses stop at Typhoon Lagoon prior to Disney Springs. Between 11 am and 2 pm buses stop at Typhoon Lagoon after stopping at Disney Springs. After 2 pm the only bus route for Typhoon Lagoon runs from Epcot. You will not find buses to the theme parks at Disney Springs! This is because people were parking for free at Disney Springs and then using the bus service to the theme parks to avoid paying for theme park parking. There is bus service between ESPN Wide World of Sports and the following resorts: all three All-Star Resorts, Pop Century, and the Caribbean Beach Resorts. This is because these are the hotels at which young athletes and their families stay at when competing at ESPN. Note the Art of Animation is within walking distance of Pop Century. Some of the bigger spread out resorts offer bus service within the resort making stops at locations spread around the resort and the resort’s main building. Shades of Green operates a small fleet of buses which run throughout the day to limited locations on WDW property. Bus service from Disney Resort hotels begins 45 minutes before opening until 1:00 a.m.
Return service to Disney Resort hotels ends at 2:00 a.m.
You may exit through the front and rear doors. Walt Disney World’s monorail system was a look at the future of transportation when it was first built in 1971, many airports now use similar systems to move travelers between terminals. WDW’s monorail system consists of 12 electric monorail trains, which ride on elevated concrete tracks. There are three different routes: the two Magic Kingdom routes (the Express and the Resort) and the Epcot route. The Express route runs counter clockwise around the Seven Seas Lagoon from the Transportation and Ticket Center to the Magic Kingdom and back, with no stops in between. This loop’s primary users are guests who have parked in the Magic Kingdom’s parking lot, who have arrived at the TTC on non-Disney buses (such as Shades of Green’s buses), or are transferring from the Epcot Monorail loop. Excluding any wait time, this is the fastest way between these two monorail stations. The Magic Kingdom Resort Loop runs clockwise around the Seven Seas Lagoon from the Transportation and Ticket Center with stops at the Polynesian Village Resort. The Grand Floridian Resort and Spa, the Magic Kingdom, and the Contemporary Resort before arriving back at the TTC. This route takes longer to travel between the TTC and the Magic Kingdom with the stops at the resorts on the way and is designed mainly for the use of Disney Monorail Resort guests. The Epcot Monorail Loop runs from the Transportation and Ticket Center to the Epcot Station which is approximately three and a half miles away. The Main users of this line are Disney Monorail Resort guests, Shades of Green guests (there is no Shades bus to Epcot), and those wishing to park hop between the two parks. The Walt Disney World Monorail System operates from 30 minutes prior to earliest park opening until one hour after latest park closing. Disney World also operated a small navy of water launches, water taxis, and ferry boats, most of which are dedicated to guest transportation and entertainment. Most routes run on 15- to 30-minute intervals. Seven Seas Lagoon – The western Magic Kingdom Resort area. Water Launches run on a circular route that encompasses the Grand Floridian Resort and Spa, the Polynesian Village Resort, and the Magic Kingdom. Large ferry boats operate between the Transportation and Ticket Center and the Magic Kingdom as an alternate to taking the monorail. Bay Lake – The eastern Magic Kingdom Resort area. Water Launches ferry passengers between Fort Wilderness Campground, the Wilderness Lodge, the Contemporary Resort, and the Magic Kingdom. Crescent Lake and attached waterway – Deluxe Epcot Area Resorts. Water Taxis ferry guests on a route that includes Epcot’s International Gateway, the BoardWalk Inn, the Beach and Yacht Club Resorts, the Disney Swan and Dolphin Resorts, and Disney Hollywood Studios. Village Lake and attached waterway – Disney Springs Resort Area. Water Taxis ferry guests on a route that include Port Orleans Riverside, Port Orleans French Quarter, Saratoga Springs Resort, Old Key West Resort, and Disney Springs. Water Taxis also ferry guests between 3 stations within Disney Springs. At Epcot, Water Taxis run on two routes across the World Showcase Lagoon, both routes run from points just east and west of the entrance to the World Showcase from Future World to Morocco and Germany respectively. Hours of operation vary subject to water and weather conditions. Please note that no luggage or alcohol of any type is permitted on Disney watercraft. All strollers must be folded and stowed out of the aisle. Construction his moving along well on this new gondola transportation system for parts of Walt Disney World. This transportation method is due to open Fall 2019. The Skyliner system will connect Disney’s Art of Animation, Pop Century, Caribbean Beach, and the upcoming Riviera Resorts with Disney’s Hollywood Studios and Epcot’s International Gateway. Disney has inexplicably released no details on how this upcoming transportation system will work as far as transfers and route. The Caribbean Beach Station is the largest and likely houses all propulsion motors. It is unlikely that there is a single uninterrupted cable that runs entirely around all routes. The system is likely divided into 2 or 3 sections which you will need to transfer between (by getting off and on again). There will be the Epcot – Rivera – Caribbean Beach section. and then the Disney Hollywood Studios Caribbean Beach – Pop Century/Art of Animation Section(s) which could be 1 or 2 sections. Regardless of how the cable is sectioned, cars could be disengaged from the cable for loading and unloading so that you do not have to jump onto a moving car and making a moving sidewalk in the boarding area unneeded. There are reported to be 2 loading areas at each station: a regular one, and one for loading ECV/Scooters and wheelchairs with a drive on flush load surface. The cars will be open air (no air-conditioning), as the long retired Skyway in the Magic Kingdom was, and has seating for up to 10 people on 2 wood park bench style seats on the front and rear of the cabin. ECVs can roll into the space between the benches. Boarding at the Epcot International Gateway Station, you’ll pass by the side and rear of Epcot’s France Pavilion, by the BoardWalk Inn Convention Center and over the BoardWalk parking lot. You’ll make a left turn at the turn station (Yellow square) to parallel Buena Vista Drive and then pass over it arriving at the Riviera Station. You will be able to get off here and most likely stay on as well to continue your journey (without having to exit and re-board). Then it’s on to the Caribbean Beach Station, passing over the west side of the resort. You will most likely have to get off here and then re-board either the Hollywood Studios or Pop Century/Art of Animation Routes. As I mentioned these aren’t the first gondolas at Disney World. One of the opening day attractions was the Skyway that ran between Fantasyland and Tomorrowland in the Magic Kingdom. Hours of operation are unknown at this time but are expected to be similar to bus operating hours. A taxi fare between the furthest points on Disney World property should rarely exceed $20 plus tip. When using taxis on Disney property, use only the ones colored yellow that have meters! They have various names on the side (Yellow Cab, Checker, City or Safety), but are all operated by Mears Transport, which has an official relationship with Disney. Your resort concierge can call a cab for you or you can call yourself at (407) 699-9999. We discussed Ride Hailing Services above as a method to get to Disney World, but they are an even better option for getting around WDW. Using Ubering and Lyft to get around property is very convenient and often the cheapest paid method of getting around. Uber – Get a free ride up to $15 by signing up with this promo code:steveb14703ue this promo is for your first ride only, any value not used expires so this is not good for a quick hop across WDW property, but it is perfect for a ride from Orlando International to Shades of Green. The one-way fare from the airport is about $25. If you are already a member, have someone else in your party sign up. Lyft – $5 credit towards your first ride when you sign up for Lyft using this link. This promo is for your first ride only; this is perfect for a quick hop across WDW property. In 2017 Disney World began offering a new “uber like” service called Mini Vans. These are a fleet of polka dotted (they look like Minnie’s dress) SUVs and cargo vans (with the ability to carry scooters). For about 25 dollars they will take you anywhere on property. They can seat up to six guests, and car seats are on board at no additional fee. Several larger vehicles are available and can transport up to 2 wheelchair/ECV guests. Minnie Vans service all locations on WDW property. The Minnie Vans can be requested via the Lyft app (keep swiping left through ride types) or by calling 407-828-3500. Minnie Van service operates from 6:30 a.m. to 12:30 a.m. daily. There are a few instances where walking is possible at Walt Disney World. There is a walking path from the Deluxe Epcot Resorts (starting between the Boardwalk and the Swan & Dolphin) to Disney Hollywood Studios which is 0.8 miles long. It’s possible to walk from the Saratoga Springs Resort to Disney Springs. It’s roughly 0.6 miles from the lobby to the north edge of Disney Springs. Shades of Green is located within walking distance of Disney’s Polynesian Village Resort. It’s about a ten to fifteen minute walk. From there you can take the monorail to the Magic Kingdom, the Transportation and Ticket Center (to transfer to the EPCOT monorail, or visit other Magic Kingdom Resorts. Long Distance – Universal, SeaWorld, etc. In order to get to Universal Studios Orlando, Disney Resort Guests will need to arrange for either a taxi, limo, rental car, or Uber. Taxis and limos can be anywhere from $80 to $120 round trip. There is an Alamo Rent a Car kiosk just off the Shades of Green lobby where you could rent a car for the day or more if you have other excursions planned. There is a shuttle bus available at Shades. You need to make a reservation 24 hours in advance with the Shades of Green Ticket Sales Office. The round trip cost is $ 10.00 per adult (12+) and $ 5.00 per child (4-11), under age 4 is free. There is only one run each way per day so you need to stick to their times. The shuttle departs Shades at 8:15 am, it leaves Universal at 6:30 pm and SeaWorld at 6:45. Well that wraps it up for Walt Disney World Transportation. I hope that you fine this a useful resource! Do you have any WDW Transportation Tips? Please share them in the comments section below! 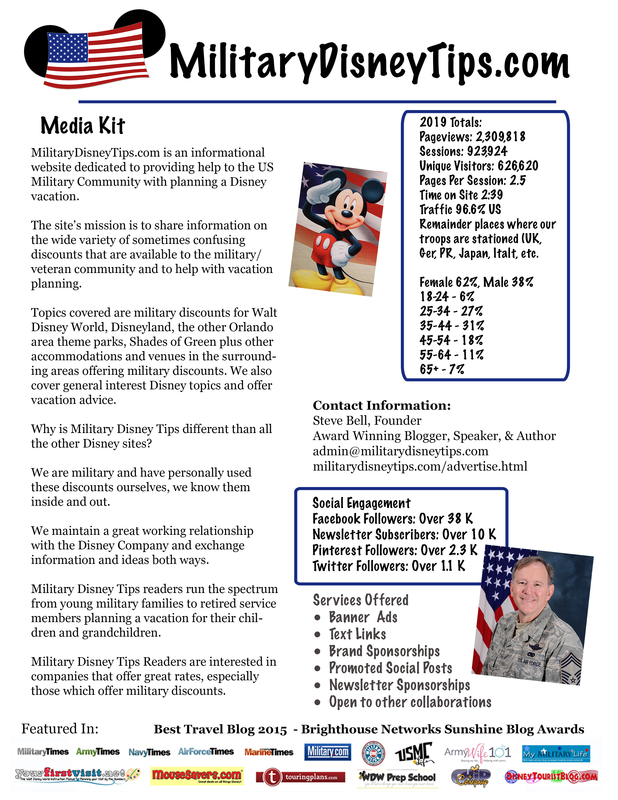 Thanks so much for all the time and effort you put into providing so many resources to the military community and everyone that visits your blog! We will be leaving soon for our first Disney vacation in over 5 years and so much has changed. We have a dinner ADR for O’hana during our visit and was wondering if we will have to pay for parking at the Polynesian or or is there a visitors lot with free parking? On a completely different topic, we’re unclear about the military memory maker promotion. If I purchase the memory maker, does it have to be linked to my MDE account or can it be linked to any family member’s account? I truly love serving our community! It’s so nice to hear that I’m helping. Yes, so much has changes in that timeframe!!! Great job snagging the O’hana ADR! We’ve been trying the last 3 (family) trips to get one. No charge to park when visiting the resort. When you pull up to the gate just tell the Security Host that you have an ADR. They will probably scan your Magic Band or look you up by name it you don’t have bands, then direct you to the parking area. As long as the other person is with you when you purchase the memory maker I believe there won’t be an issue linking it to theirs. Just explain they are more tech savvy, lol. Great, thanks so much for the quick response! One other memory maker question, if I may – the kids in our party don’t have an MDE account, just magic bands linked to my account. If pictures are taken of them on rides, how do we get access to them? Is it enough that the kids are friends on my MDE account? Thanks again for your time! Yes you should see pics of all your linked friends and family in your MDE account. And if their bands are linked to your account it’s like they are part of your family and you will see their pics. Thanks so much for the quick response! We’ve never done O’Hana so we’re looking forward to our ADR. We must’ve gotten lucky – our ADR is early for dinner but we were able to book for a party of 12. We’ll definitely talk to the person at guest relations and see what we can do with the memory maker. Thanks again for your help! This is such a good breakdown of transportation at Disney World. I like how you explained everything and provided all necessary details. I cannot wait to ride the new Skyliners! I had fun putting it all together! I’ll be there in Sept to ride them myself. I can’t wait either.